If you love the look of natural flooring but are not sure, whether you should invest on expensive hardwood boards or not then this is where laminate flooring can seek your attention. Laminate is made up of layers of wood compressed together to form a durable, robust, and attractive floor. Most importantly, the top layer of laminate is finished with the print of wood grains to provide natural look and feel of wooden floors that you always wanted to have. However, the benefits of laminate is not limited to this, rather there is more to it. 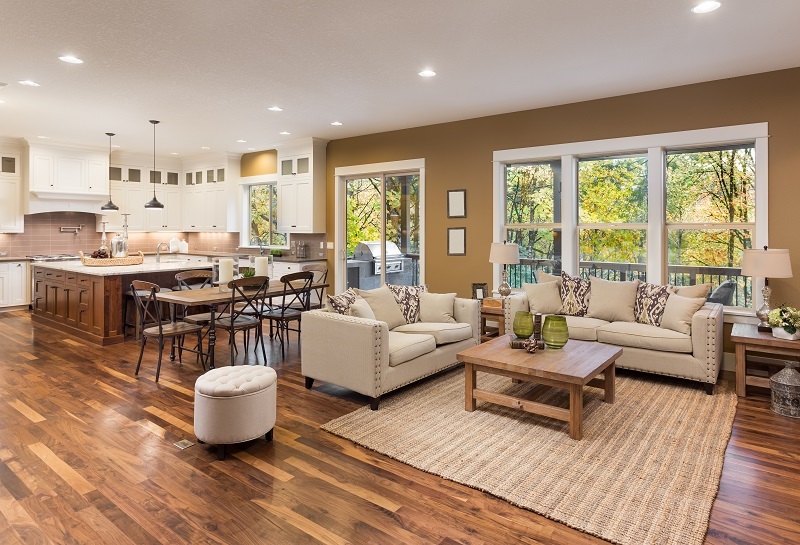 Here are the top 6 reasons that will help you realize the importance of this flooring and why they can be the ultimate solution for your home. 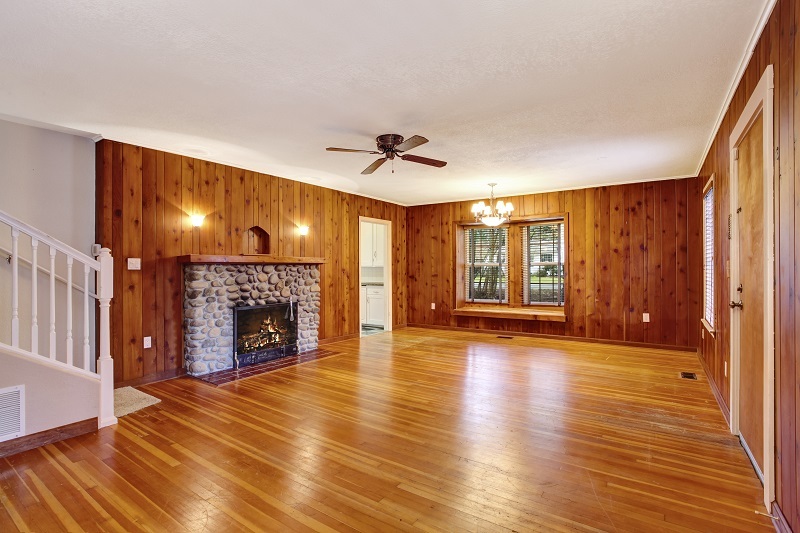 Flooring crafted from hardwoods provides strength and beauty to every room. However, all those great things come with a huge price to pay. If you dream to have premium hardwood finish but without spending too much for the same, then there cannot be a better option than laminates. Available at a fraction of cost, not only do laminates mimic the style and aura of hardwood but at the same time, they are able to offer similar characteristics, as well. This is the reason why it is almost impossible to spot the difference between laminate flooring and hardwood that is what makes it a popular choice. 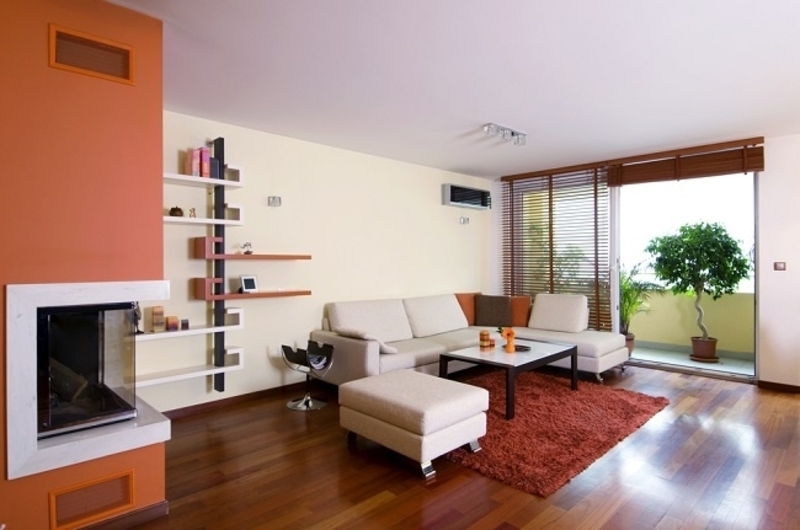 Laminates are a stylish and functional addition to your home. You can install them in almost any room, even areas that are exposed to high traffic such as the kitchen, living space, and so on. Remember: do not have them in bathrooms because like woods, they absorb excessive moisture and other than that, it can become slippery when wet. There is no limitation to where you can have this flooring. Just make sure, they are installed at a place where it is not exposed to excessive moisture. The length of hardwood planks can be if 10 feet and at times this value is more. Though, it gives smooth and a streamlined look, but transporting the plank from one place to another can turn out to be a difficult task. However, the laminate floorings are available in four different sizes. In addition to that, they are available in the form of tiles where you can choose the one that suits your preferences. If the style or color of the flooring is a major concern then you can rely on laminate flooring without giving a second thought because these are available in several shades of colors, allowing you to find the one that blends with the beauty of your home. This means, gone are those days when you had to balance the décor of the home according to the wooden style of the floor. Laminate requires little or no maintenance where a simple swipe using damp cloth to get rid of accumulated dust and debris is more than enough to keep them squeaky clean. Further, they can be easily mopped and have a strong resistant against water damage. This restores the appeal of the laminate flooring for years to come. Since the laminate floors are easy to clean, you can get rid of unwanted particles immediately when they accumulate on them. This keeps them free from common allergens such as pollens and dander where any unwanted mess or spills can be wiped away in no time. Therefore, these reasons are valid enough to choose the laminate flooring for your home.